The simple mention of the word “surgery” raises concern among many people, and coupled with the word “eye,” images of pain and discomfort comes to mind for most. Fortunately, LASIK eye surgery is nothing to be concerned about, with patients who have had the vision correction service done expressing how the quick and virtually painless procedure debunked all of their pre-surgery worries. 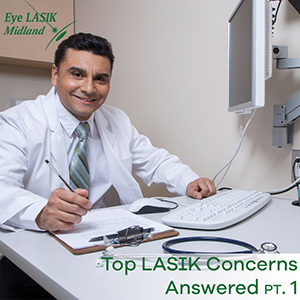 Below is part one of a list of the 6 most common concerns about LASIK surgery and explanations on why patients have nothing to worry about when they get LASIK surgery from one of our precise, expert surgeons at Eye LASIK Midland. LASIK surgery is known to be a very advanced and precise surgery, and because of this, it is commonly associated with being a very lengthy procedure. In reality, while there are (painless) eye tests that must be taken before surgery to decide if a patient is a good candidate for LASIK, the actual procedure only lasts a few seconds per eye. Successful candidates will receive a sedative to help relax and numbing drops to the eye for a comfortable and quick procedure. Please see this video on what to expect before, after, and during LASIK eye surgery. A common concern with any surgery is the risk of something going wrong during the procedure. With our advanced VISX STAR S4 system and experienced, professional surgeons, accuracy, preciseness, and safety is what we are known for at Eye LASIK Midland. We provide some of the best treatment options for our patients and our resident ophthalmologists Dr. Tschoepe and surgeon Dr. Walters offer a combined expertise that provides patients with the security of knowing that they will be getting the best treatment there is. Financial concerns are one of the top reasons why people choose not to elect LASIK to fix their vision concerns. While, unfortunately, most insurance companies see LASIK as an elective procedure, there are a variety of other ways to pay for the cost of LASIK, including loans, health savings accounts, and financing offered through us. See our post titled, “Ways to Pay for LASIK” for more options and details. As shown from these 3 concerns, there is really nothing to fear when Eye LASIK Midland is the top choice in Texas for LASIK eye surgery. Don’t see another top concern about LASIK surgery on the list? 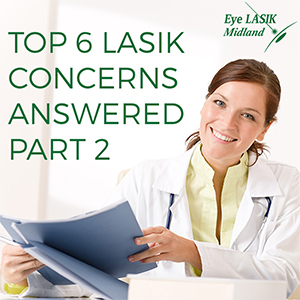 Continue to part 2 for more reasons why patients should not fear getting LASIK. For more information on LASIK, contact us for a free consultation. Epi-LASEK Eye Surgery – is it for you? As medical research advances, we as consumers have the benefit of knowing how to best take care of our bodies. Whether it’s understanding what type of exercise we should do to achieve a healthier body, or what types of foods benefit our health, living in the information age has many advantages. One thing we continue to struggle with is changes to our bodies that are simply genetic. For instance, there’s nothing we can do at this time to prevent our eyes from developing nearsightedness, farsightedness, or astigmatism. It’s simply part of our genetic code and the changes to our eyes are bound to happen. The good news is, technical advances in refractive eye surgery have made it possible to correct these conditions. Many people are familiar with the concept of LASIK eye surgery, which corrects the surface of the cornea by creating a small surgical flap of tissue, which when reshaped and closed creates the vision correction. LASIK is the right type of surgery for many people. However, some other people may have better results with a different type of refractive eye surgery called Epi-LASEK. The difference is subtle, but may be appropriate for certain individuals. Are you a candidate for Epi-LASEK Eye Surgery? In Epi-LASEK eye surgery, only the epithelial or surface cells of the cornea are used to create the new corneal surface. Following the surgical change, a highly oxygen-permeable contact lens is inserted, which allows the proper regrowth of the epithelial surface. Generally by the third day post-op, the contact lens is removed by the doctor. This type of surgery may be necessary for individuals with thinner corneas, who would not be good candidates for traditional LASIK surgery. This may also be the right type of surgery for people who have professions or hobbies where there is a higher chance of being hit in the eye, because with LASIK surgery a larger corneal flap is created and could be dislodged by trauma to the eye. Two advantages of LASIK versus Epi-LASEK are these: less post-operative pain and discomfort, and possibly a quicker return to normal vision. This is not to say that Epi-LASEK eye surgery is extremely uncomfortable, in fact, most people only need over-the-counter pain medication. Some patients who have Epi-LASEK surgery may also take longer to achieve full vision correction. Although Epi-LASEK patients may experience a slower recovery time than LASIK patients, the fact remains that the surgery is very safe and effective and may be right for certain individuals. You will never be left to make this decision on your own. After your eye shape and vision correction needs are determined, our doctors will consult with you on which surgery would give you the best results. Our patients can have complete confidence that Eye Lasik Midland will provide the optimal surgical approach with full vision correction as our goal. Walk into your favorite grocery store and take a closer look at the people around you. How many people are wearing glasses? The fact is, loss of normal vision is extremely common. Some people don’t mind wearing glasses or contacts, but many find themselves wishing for a better way, LASIK eye surgery is the answer for many people.LASIK eye surgery is the better way to correct vision for many individuals. For those with conditions such as astigmatism, which makes it difficult if not impossible to completely correct vision through use of contacts or glasses, LASIK eye surgery can make a difference. Although LASIK vision surgery has been practiced for more than two decades, not everyone is sure what it is or if it is right for them. First of all, a quick definition of LASIK surgery: LASIK eye surgery corrects vision problems including but not limited to near-sightedness, far-sightedness, and astigmatism. In LASIK, a thin flap is created on the cornea. Corneal tissue is then removed and reshaped and the flap is closed, which creates the corrected focus. LASIK is short for laser-assisted in-situ keratomileusis, the technical term for the surgery.
. LASIK eye surgery is so successful – over 98 percent of LASIK surgery patients achieve their desired results. The change in vision is achieved quickly following surgery, and the long-term results are excellent. So, are you a good candidate for LASIK eye surgery? You have had stable eyesight for at least a year, with no history of significant eye conditions such as glaucoma or ulcers. The above points are just a few things to consider, but ones we find are significant to many of our patients. Patients over the age of 40 need to be aware that if their eyesight is corrected for nearsightedness, this will not completely eliminate the need for glasses in the future. Many people may need glasses for farsightedness as they age. Also, women who are pregnant or nursing are not good candidates for LASIK, as hormone changes can affect prescreening vision tests. Six weeks following the baby’s delivery and if the mother isn’t nursing, she can be properly evaluated for surgery. The great news about LASIK eye surgery is the results are so beneficial for such a large percentage of people. 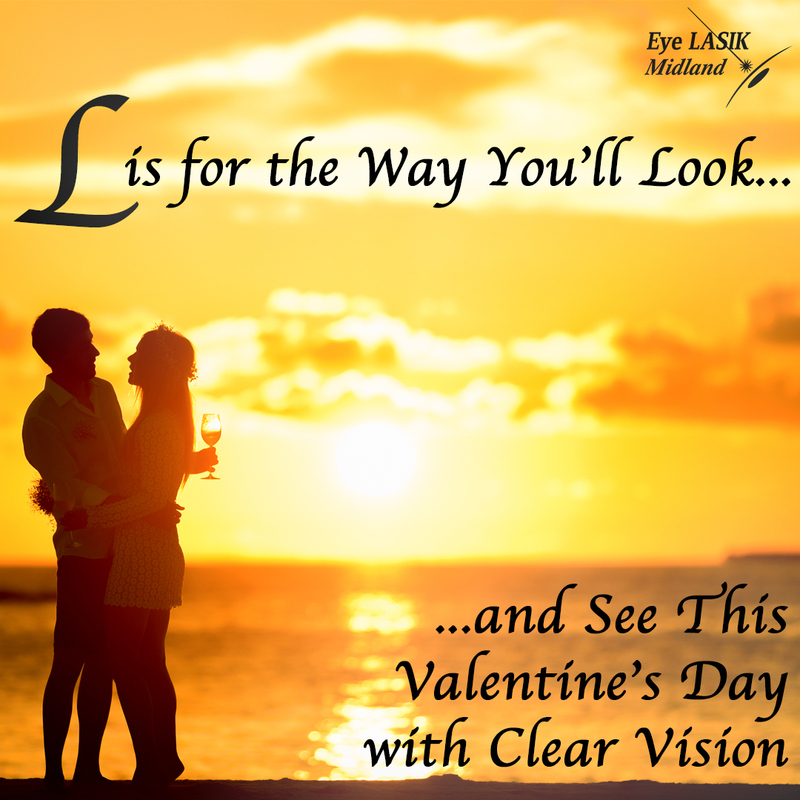 At Eye Lasik Midland, we take pride in achieving the best possible outcome for each individual. When you’re ready to discuss your possible procedure, we’re here for you.